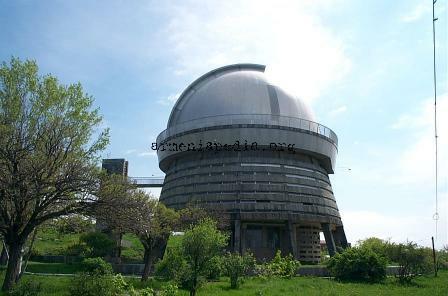 Byurakan observatory is located on the southern slopes of Mt. Aragats. World renown by astronomists, it was headed by Viktor Hambartsumian who was also the President of the International Astrophysicist Organization. During his time at the observatory, Viktor developed theories of young star clusters, and computing the mass ejected from nova stars. The observatory allows visitors and will give a tour and slide show in Armenian, Russian, and sometimes English. There is a very nice bed and breakfast nearby, as well as the worthwhile Tegher Monastery (Tegherivank). This page was last edited on 16 October 2010, at 00:43.